For too many parents, the simple request, “Please go brush your teeth” is met not with a smiles and obedience, but a combination of delays, excuses, and foot dragging. What should be a simple chore turns into a twice-daily headache. Most adults understand the value of keeping teeth clean. We know this habit, once established, will lead to better health for our children. 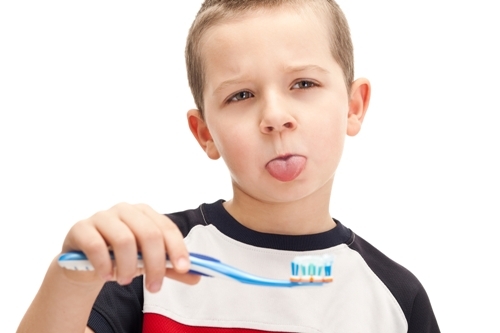 So why is it sometimes difficult for a kid to brush their teeth? The best way to get a small child to brush their teeth is to help them feel in charge. Take them with you to the store and let them pick out a kid-friendly toothbrush, and an age-appropriate toothpaste with flavours they enjoy. When they have a positive connection with the tools they use for cleaning, the routine can be more like a game than a chore. 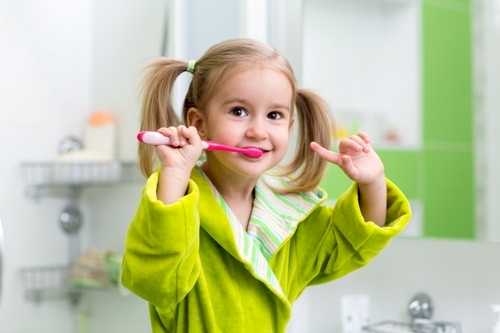 The minimum time kids should spend brushing their teeth is two minutes. If you have more than one child, or if you brush your own teeth at the same time, you can turn tooth brushing into a funny game. Set a timer for two minutes and show how to apply toothpaste and brush in circles. Then see who can create more foamy “bubbles” in two minutes. Don’t worry about the laughter and mess; it will be more fun than crying and struggling. Let your little one know how important it is to brush and floss teeth daily. Praise them, saying, “I love it when you brush all the sides of your teeth,” Remind them how they are preventing cavities. Some kids love stickers; create for them a sticker chart and reward them for each day of good brushing behavior. A certain number of stickers might earn a special, small toy. 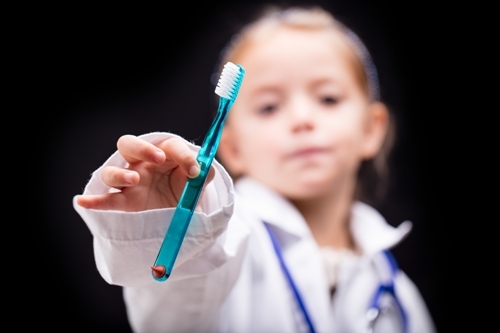 When your child goes into the dentist, they should be proud and happy about keeping their mouth and gums clean. Call us at Ohana Dental Clinic: (905) 697-3440. Set up an appointment and we will keep your loved ones smiling with beautiful white teeth.